The moment ACSM prepared for has arrived: Coca-Cola has released a list of some of the scientists and health organizations it funds. 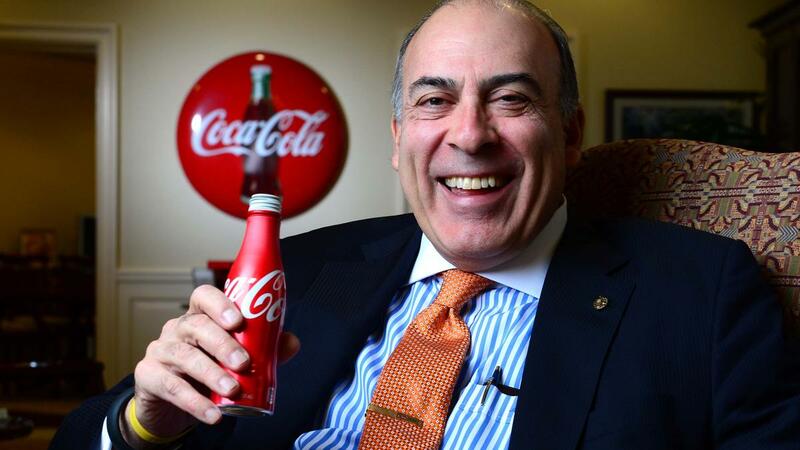 So just how much does Coca-Cola pay the American College of Sports Medicine? Despite Coca-Cola’s “transparency” claims, it’s not possible to derive a precise answer to that question from the documents Coca-Cola released. If we tally up those seven entries, we find that Coca-Cola has paid ACSM and the ACSM Foundation at least a total of $865,000 in the past five years. But that’s not all. So if we add Blair’s total to the previous number, Coca-Cola has paid ACSM and its officials at least $6,342,000 in the past five years. But that’s not all. 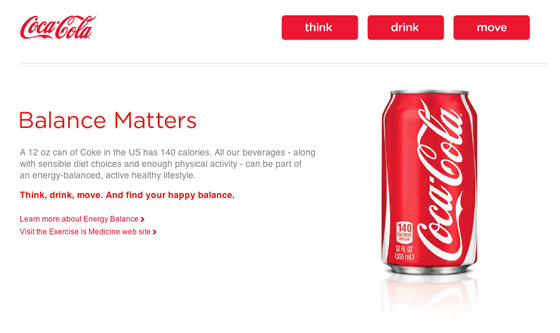 website also omitted mention of Coke’s backing until Dr. Yoni Freedhoff, an obesity expert at the University of Ottawa, wrote to the organization to inquire about its funding. Several individuals with whom we worked in the past have declined to have their names listed. Under our contracts with certain organizations, we are obligated to obtain the organization’s permission to make disclosures like those above. We have made a good faith effort to obtain permission from these organizations, but have not secured it from every organization. The aggregate amount of funding provided to these organizations over the past five years is $ 679,000. For example, Coca-Cola money that goes to ACSM officials or programs outside of the US is not listed. Judging by the Coca-Cola Foundation’s 2012-2013 tax returns this exclusion may hide a significant amount of Coke funding. Consider “Exercise is Medicine,” an ACSM-spearheaded program. During 2012-2013, Coke paid at least $1,181,000 to Exercise is Medicine programs outside of the U.S.
We also know from the Coca-Cola Foundation’s 2012-2013 tax forms that the majority of Coca-Cola’s donations to health and fitness went to organizations outside the US and Canada. Also, we know that Coca-Cola donated nearly $120 million from 2010-2015 just to organizations in North America. So if the 2012-2013 pattern holds, does that mean that Coca-Cola also donated more than $120 million to health and fitness organizations outside of North America? For now, Coca-Cola’s not transparent enough for us to answer that question. In that case, however, Coke would have paid closer to $240 million, not merely $120 million, to health scientists and organizations over the past five years. What would it take for Coca-Cola and the American College of Sports Medicine to achieve true transparency? First, Coca-Cola would need to release the name of every scientist and organization it funds. Hiding the most embarrassing information doesn’t count as transparency. In addition, Coca-Cola should release its funding for activities outside of North America. 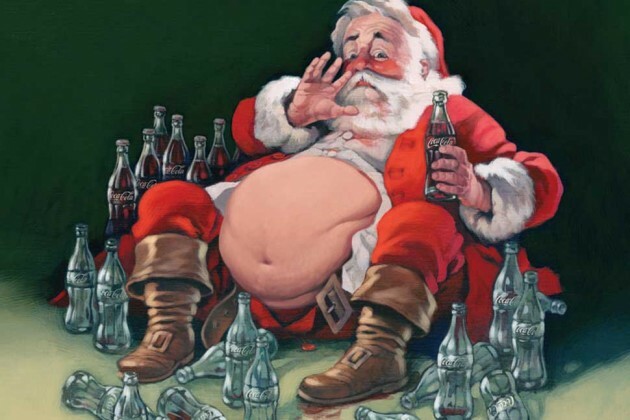 Soda-related diabetes and heart disease are pressing issues in China and Latin America as well. We cannot ignore Big Soda’s influence on science simply because it occurs outside the U.S. and Canada. Second, the ACSM should release details on all of its sponsors, and those of its officials. We know that Pepsico and General Mills sponsor the ACSM. How much has PepsicC’s Gatorade brand paid the ACSM over the years? If ACSM has truly managed to prevent its relationship with Gatorade from influencing its hydration guidelines, this should be no problem, right? Lastly, Coca-Cola should release its contracts with scientists and organizations. What precisely are Coca-Cola’s conditions for funding research and organizations? If Coca-Cola is paying ACSM and its officials over a million a year, on average, how does it make sure that this investment translates into Coca-Cola’s bottom line?